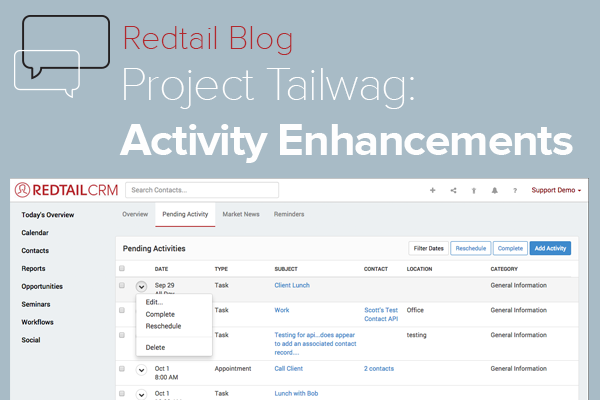 Today we continue our Sneak Peek Series on Project Tailwag with a look at enhancements we've made to Activities in Redtail CRM. 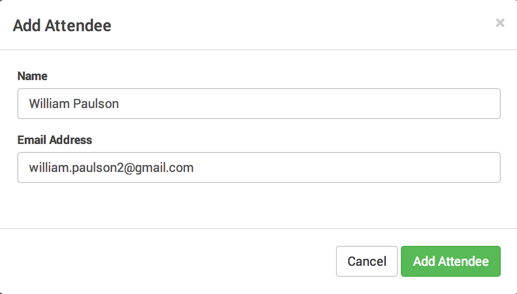 These enhancements to Activity Management within Redtail represent two of the most highly requested functionalities that we've received from Redtail users and should greatly simplify your scheduling and management of tasks and meetings. 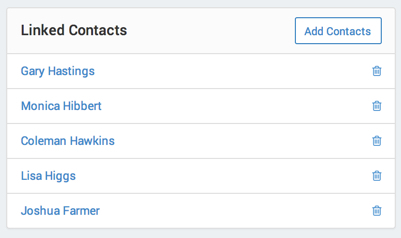 While the layout and general look is different, most of the fields you'll find in both versions are the same. 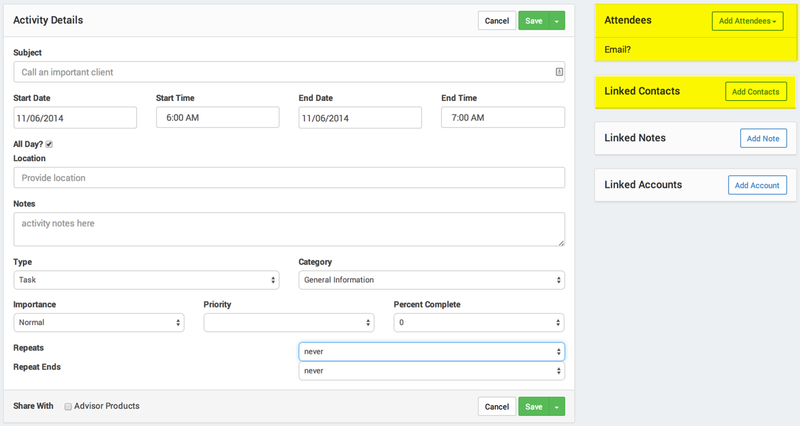 But, in the Project Tailwag screenshot, note the two highlighted areas. We'll consider each of them in turn. 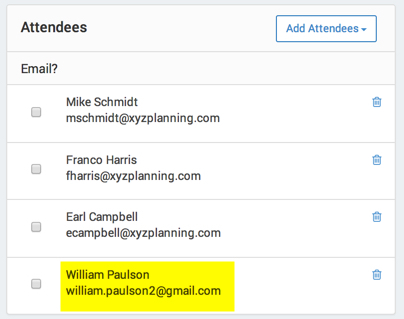 As you can see, the activity indicates that there are two linked attendees (Mike is not reflected in that number, as he is looking at his own activities). 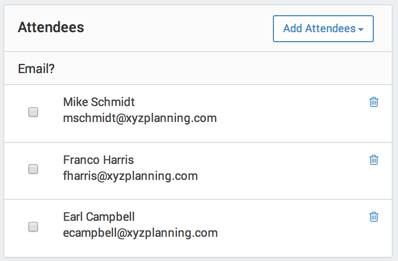 But, when he places his cursor over "2 Linked Attendees", he can quickly see who the other database users are that are also assigned the activity. 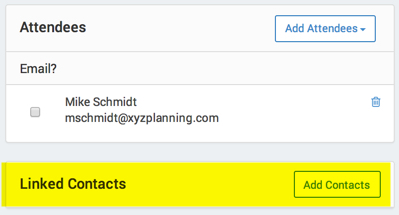 As a final note on this, if any of the database users complete the activity, it is marked complete on all Attendees' Calendars (and they each receive an email notification indicating that the activity was completed and by whom). 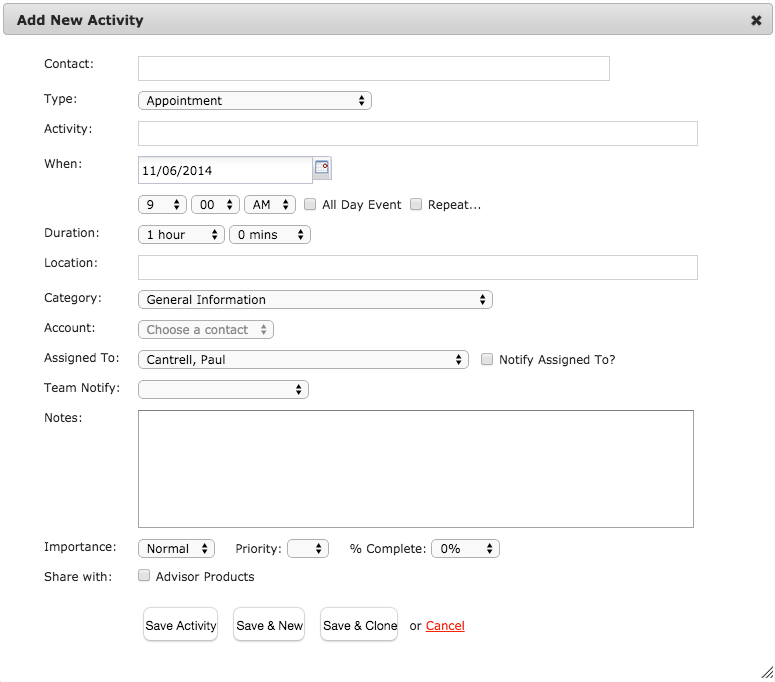 As with Attendees, when one of these Activities is marked complete, it is completed for all Linked Contacts. We'll have additional peeks into Project Tailwag for you soon! In the meantime, you can learn more at the Project Tailwag FAQ page.